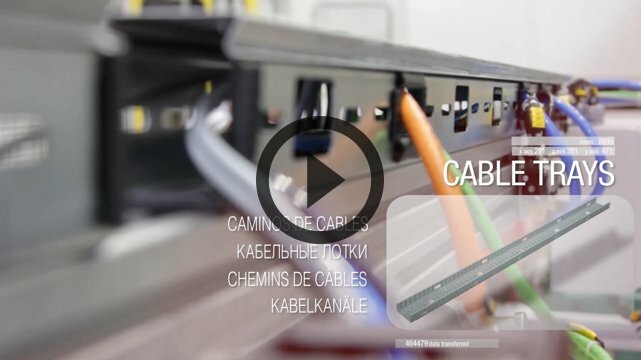 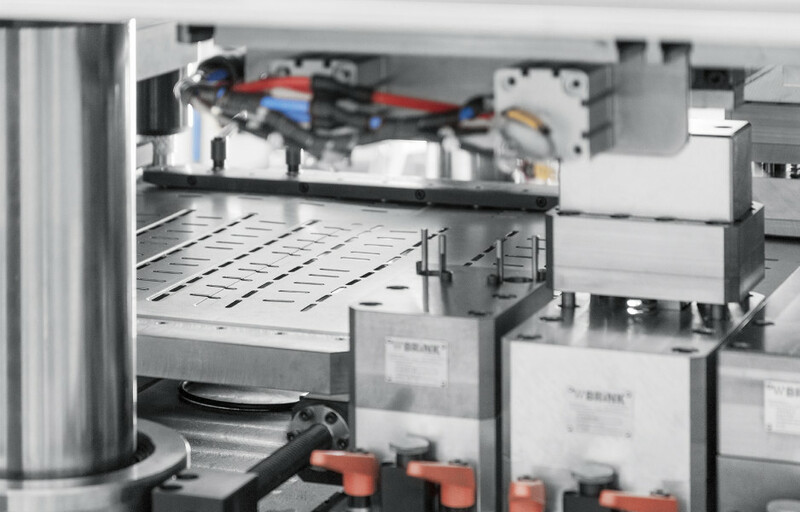 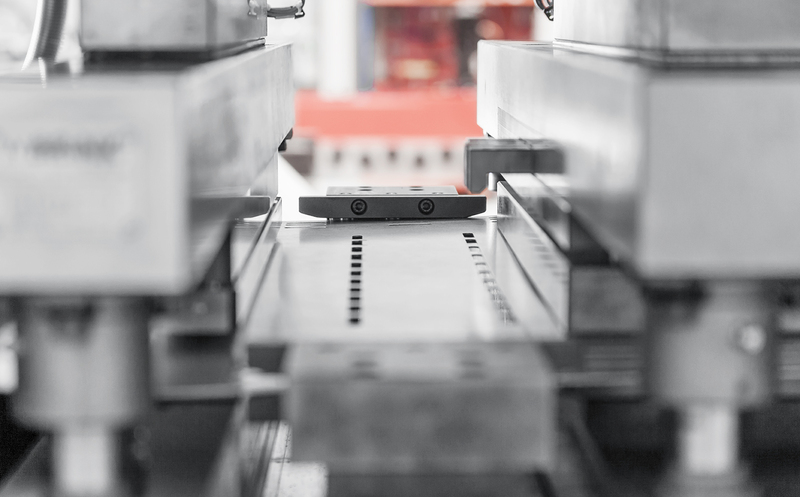 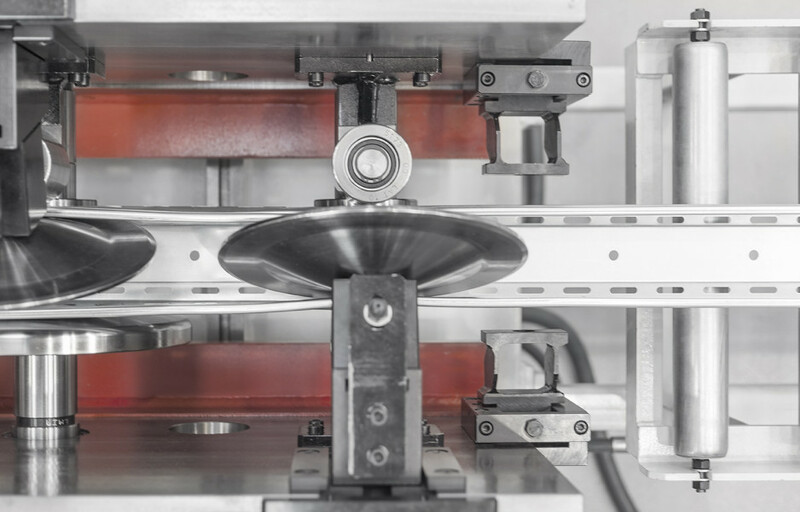 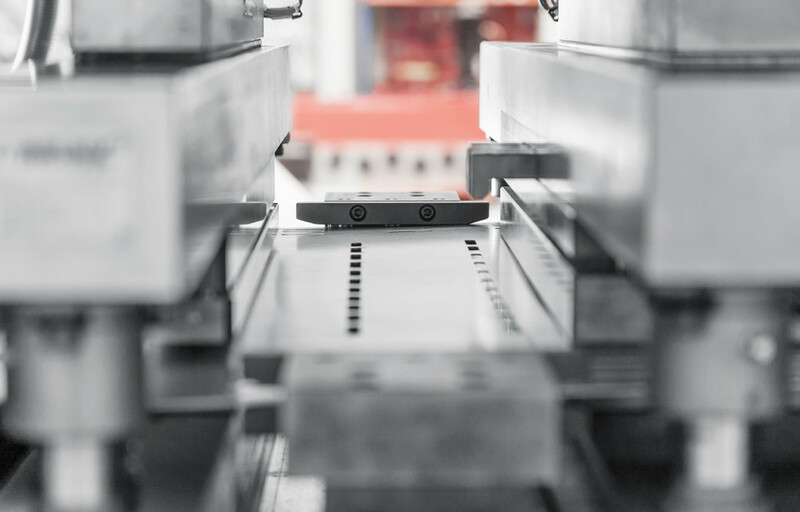 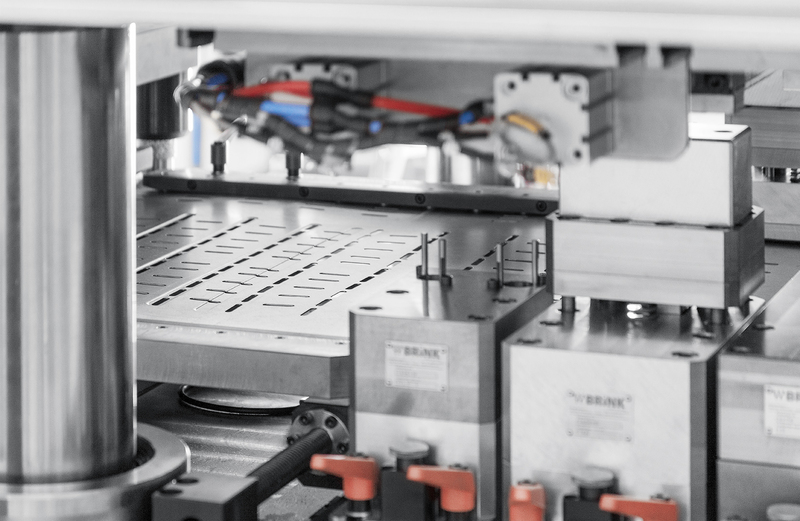 Starting from blanks or working from coil, DIMECO offers different solutions for cable trays manufacturing. 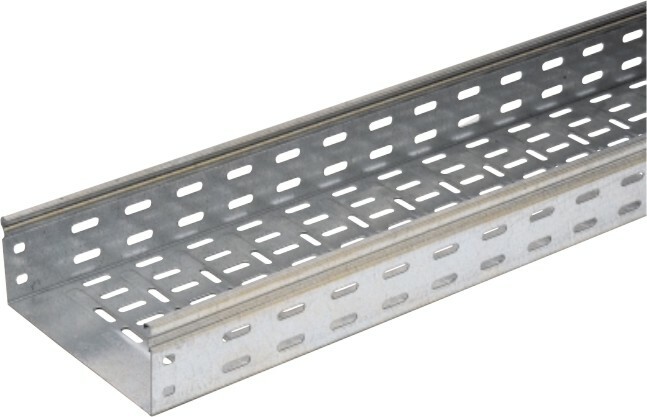 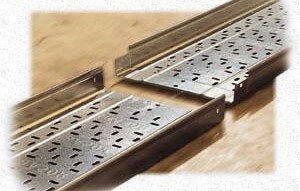 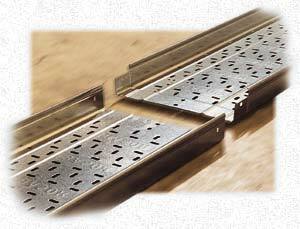 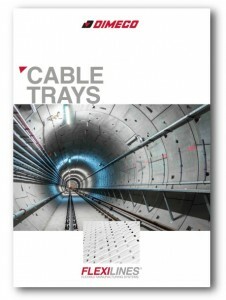 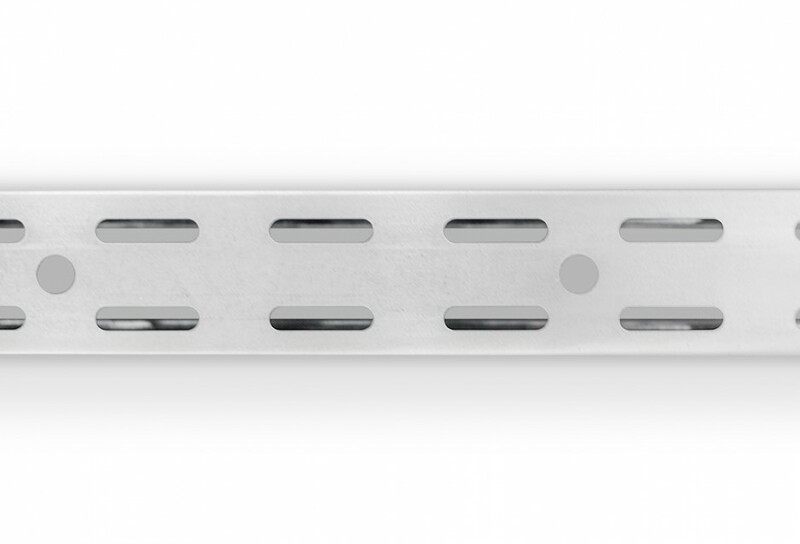 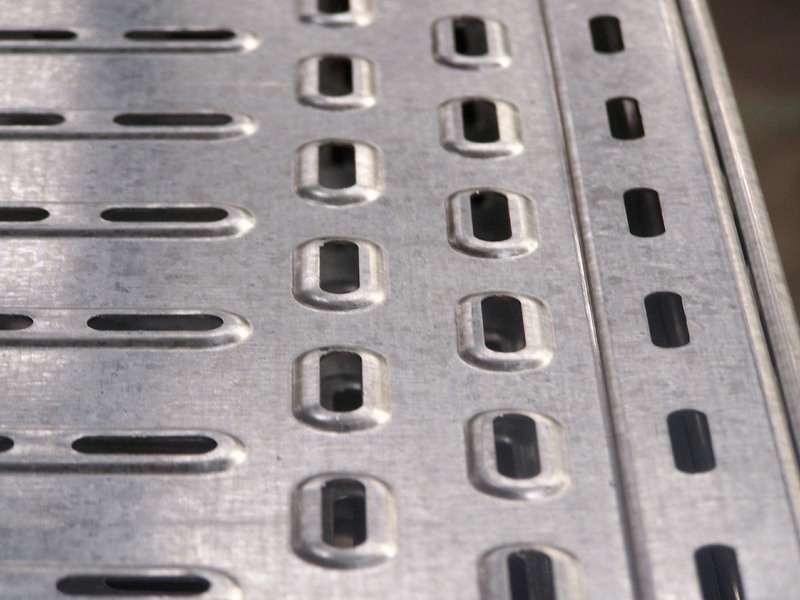 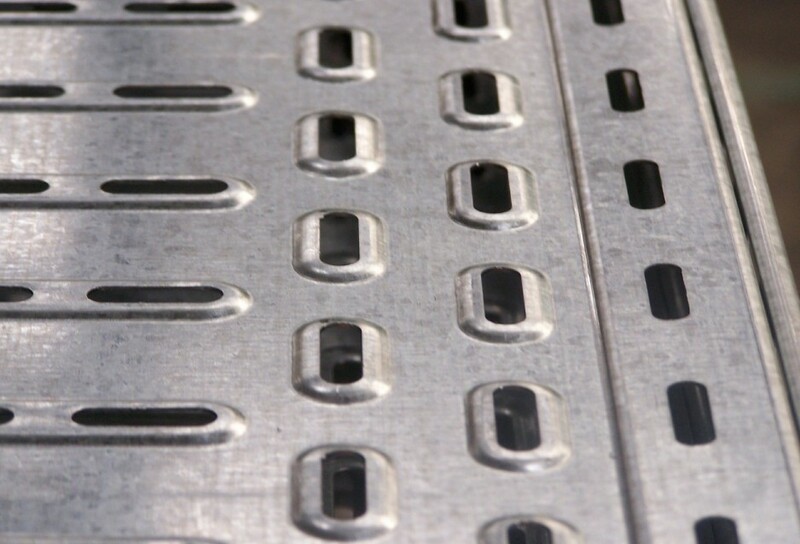 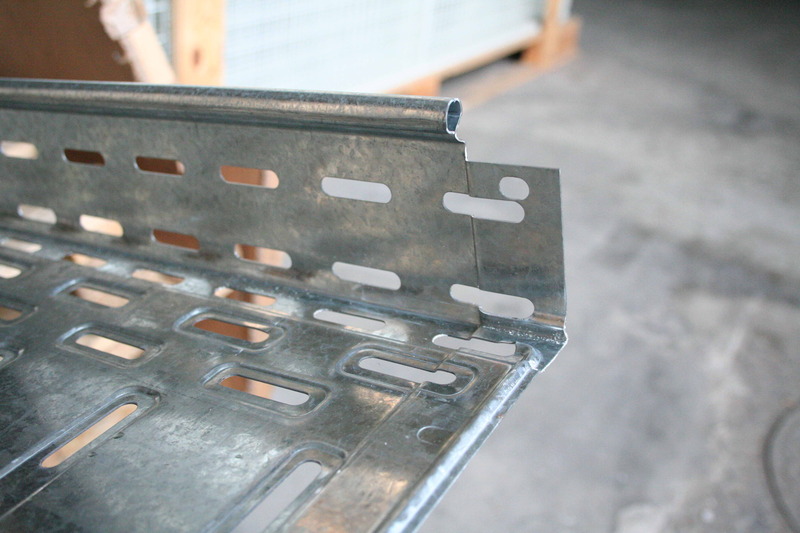 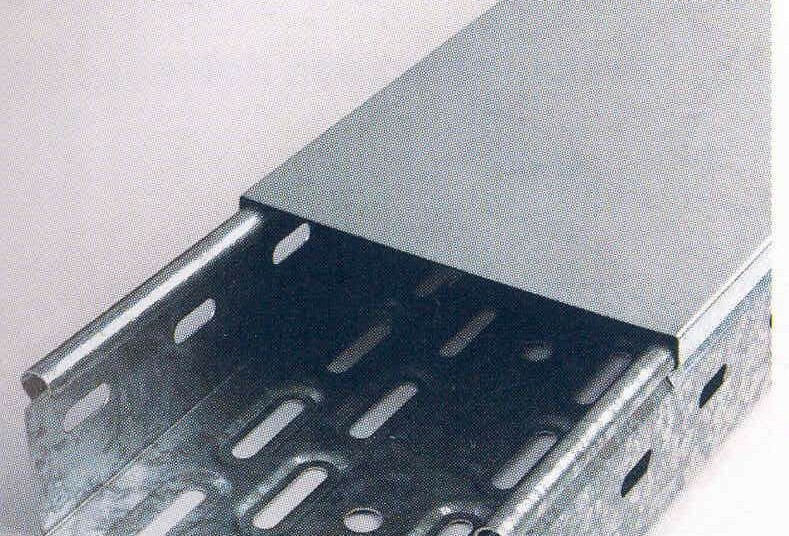 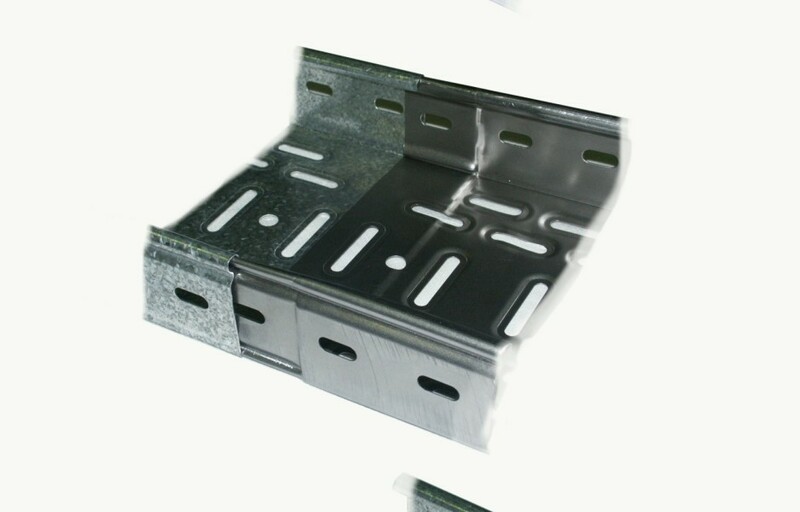 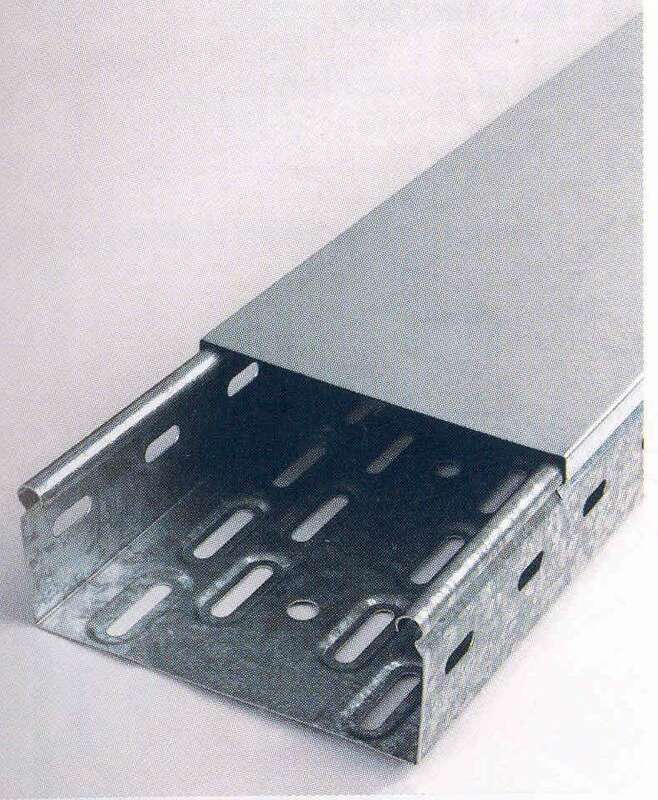 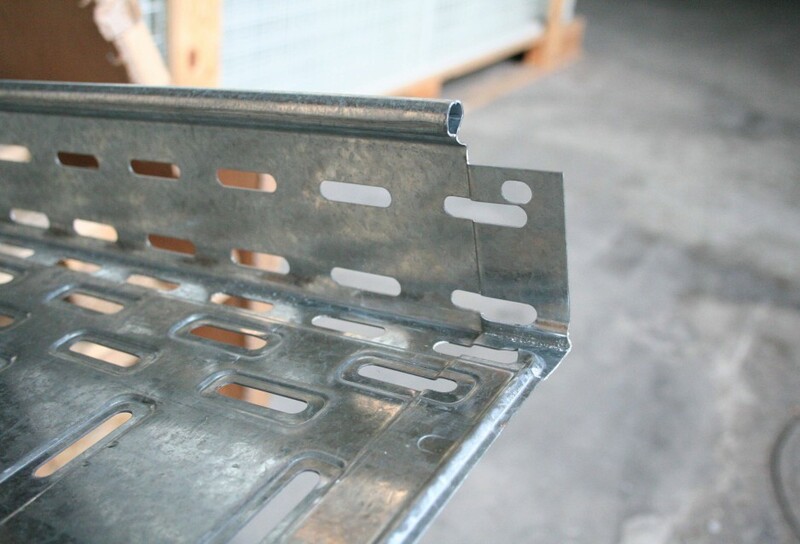 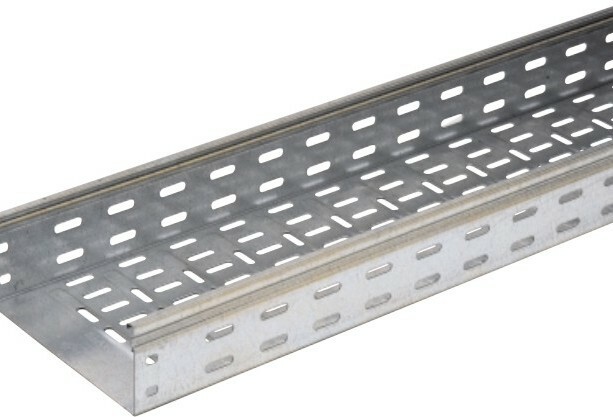 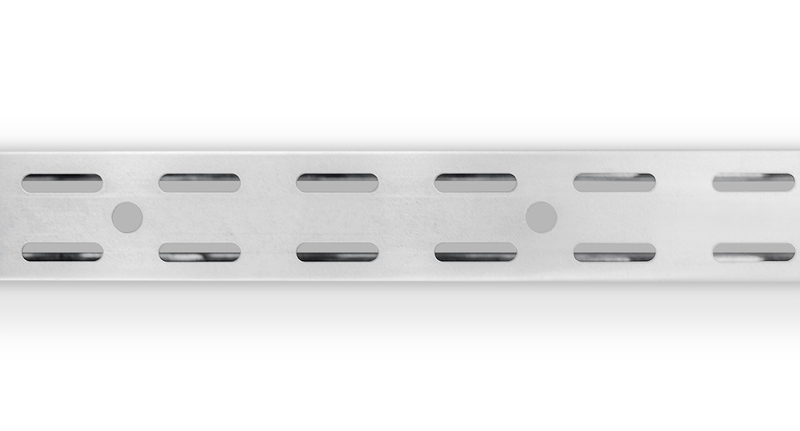 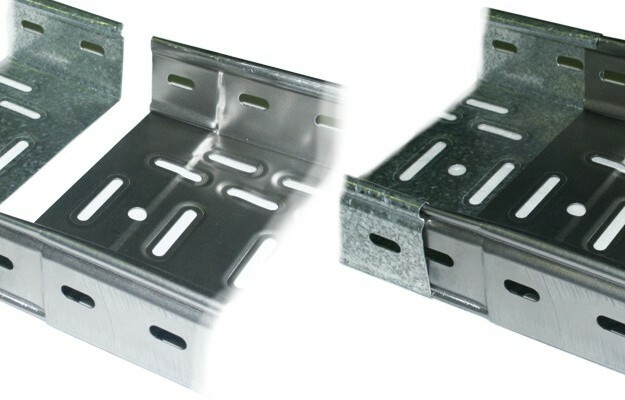 The lines we propose allow industrializing any type of cable tray. 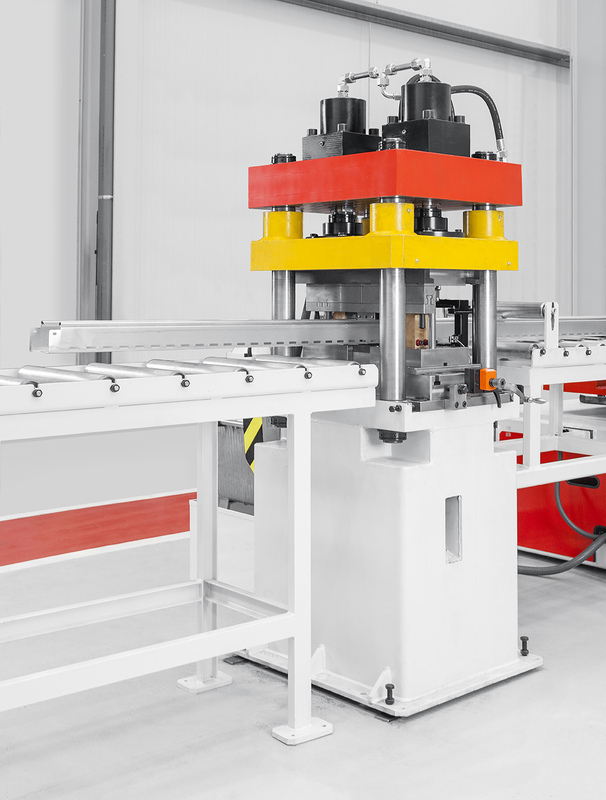 Our lines are suitable to manufacture cable trays, in different widths and heights, by just changing the coil and rollforming width. 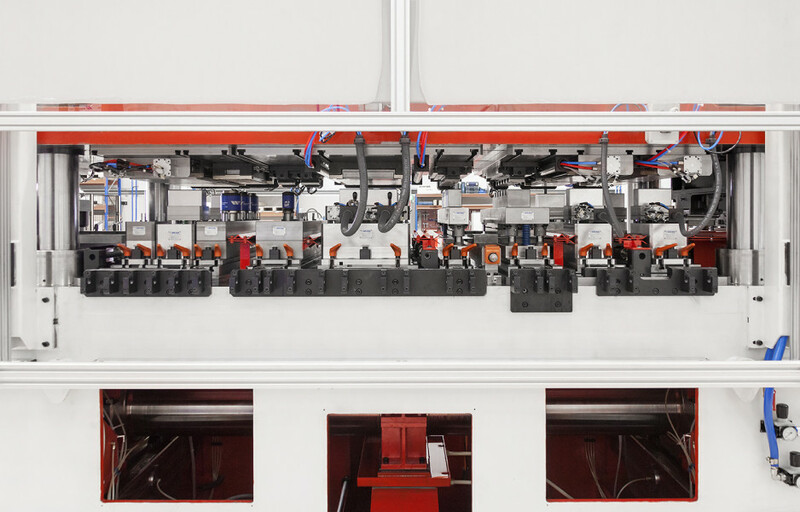 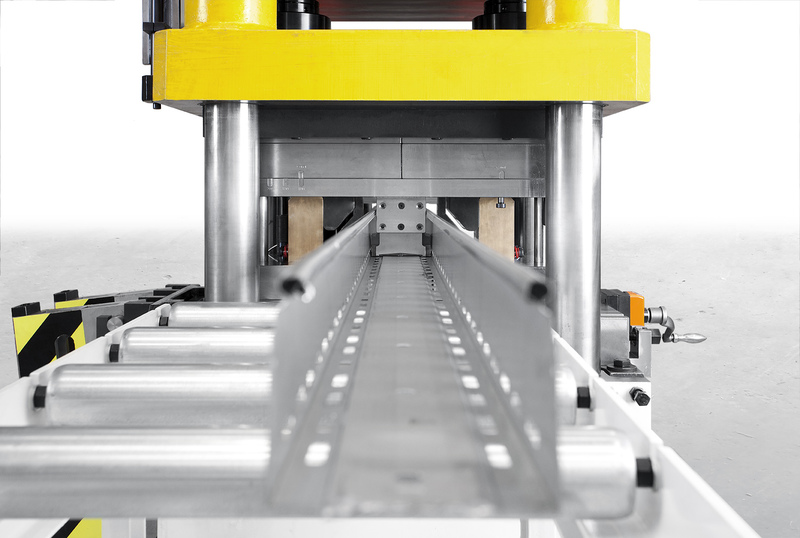 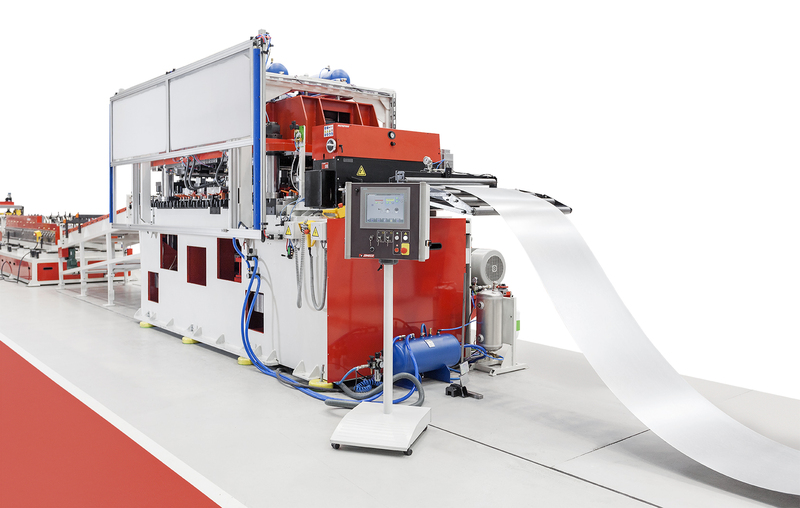 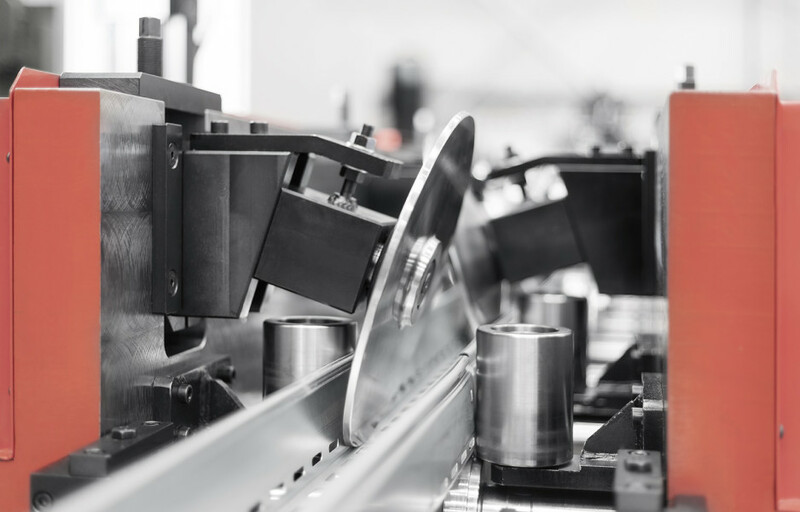 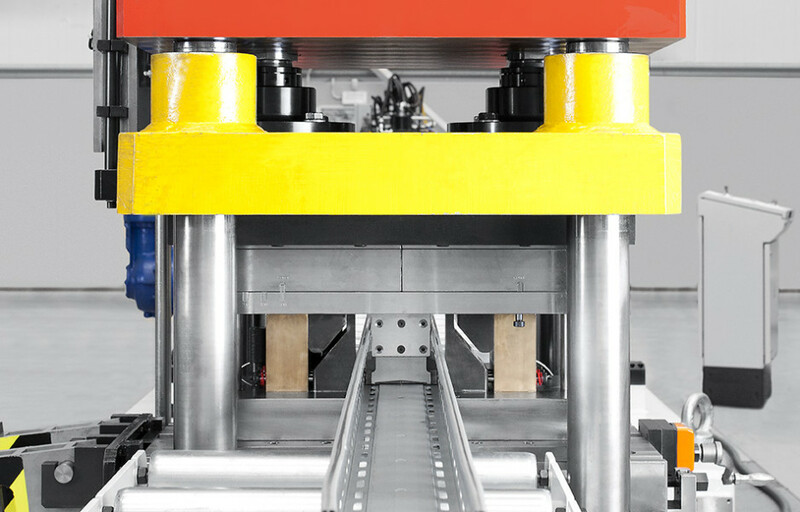 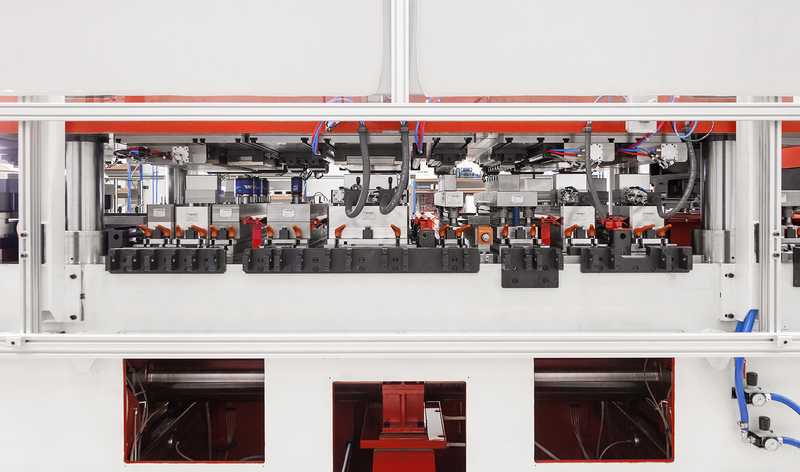 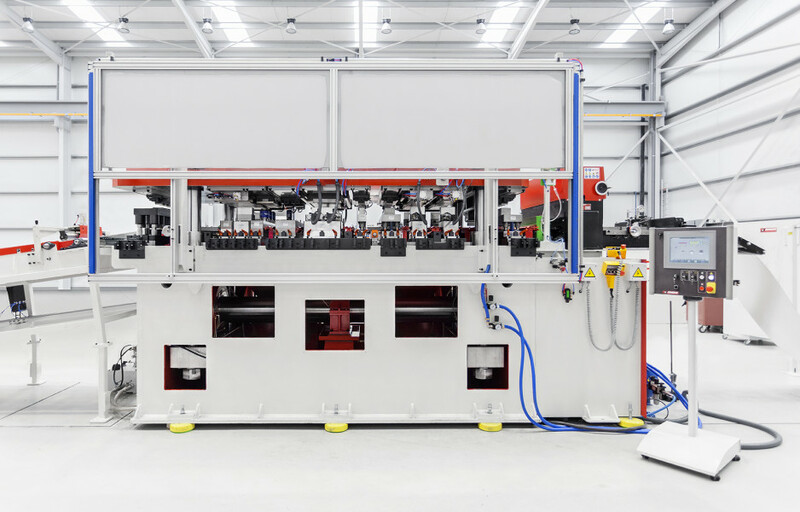 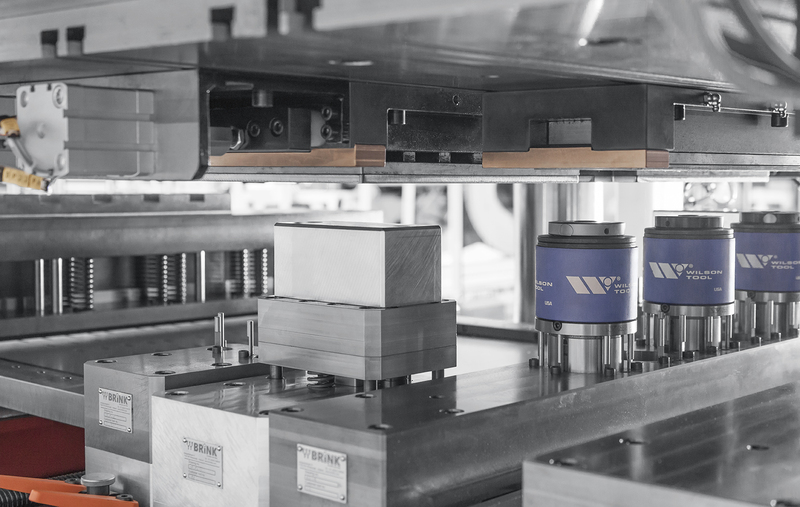 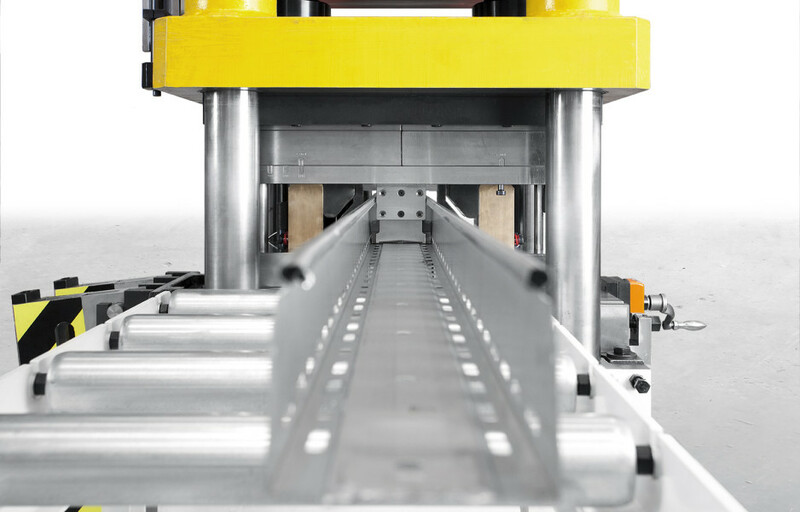 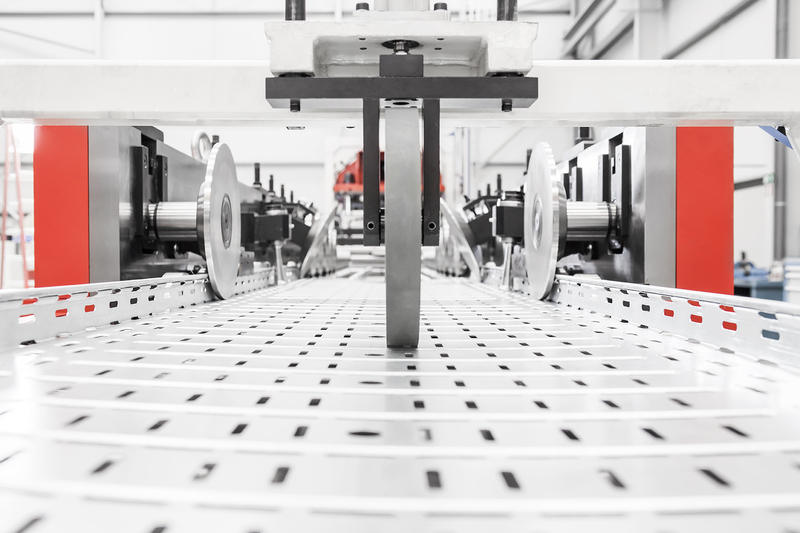 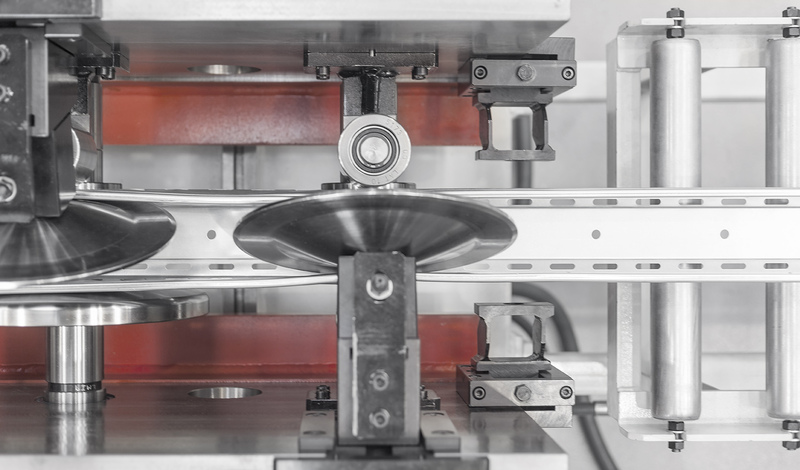 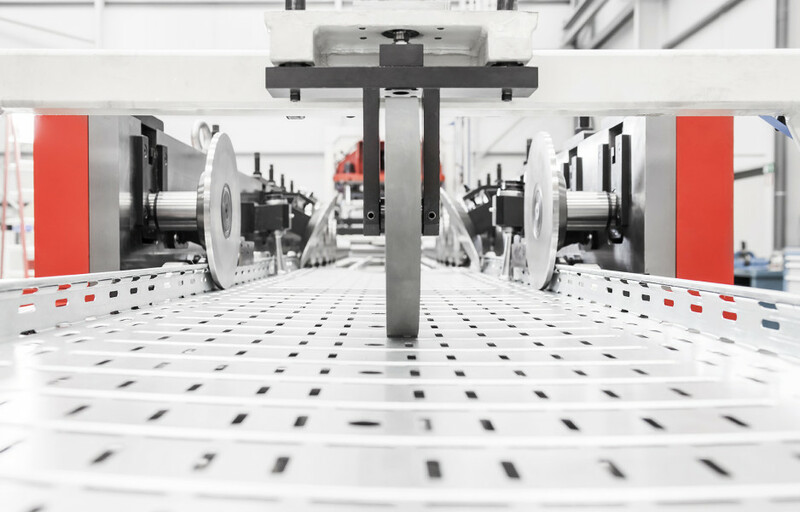 The whole line is electronically controlled, in order to ensure the right feeding, punching and cutting is achieved. 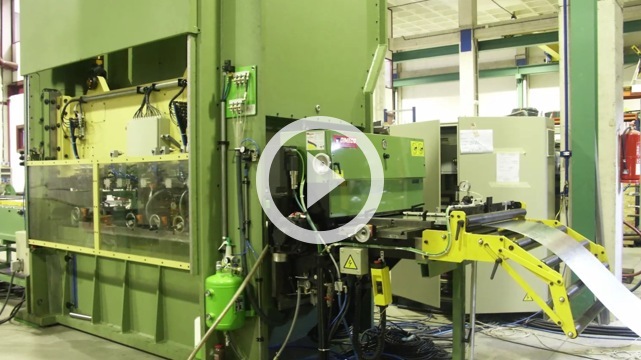 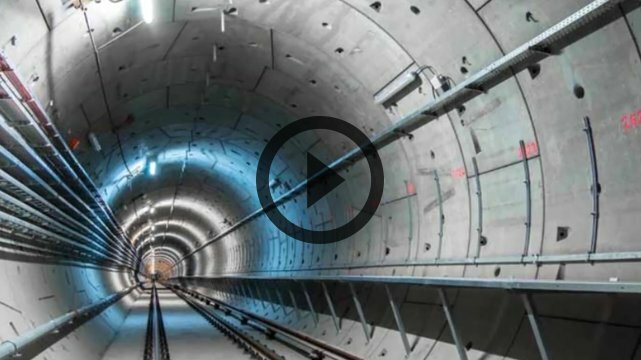 The lines are tested in our factory at real speed before delivery. All the necessary tooling may be set on the press table. 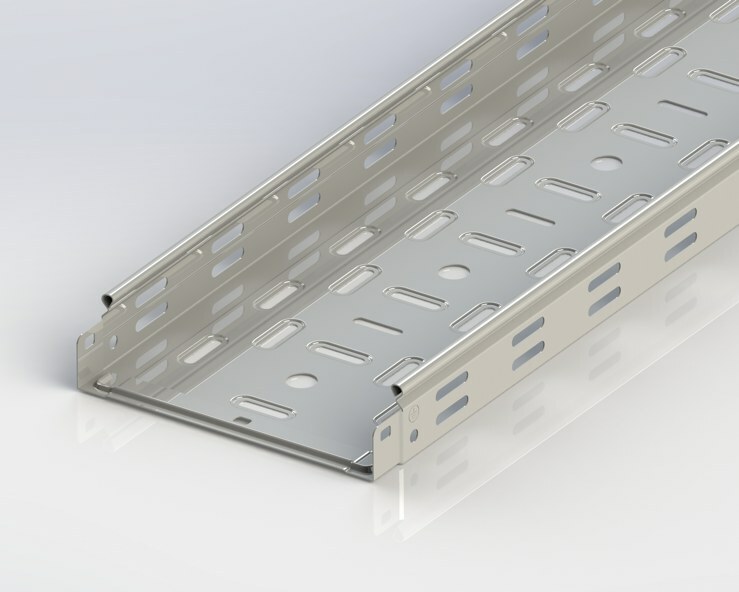 Normal obtained speed: 15 m/min for narrow trays and 8 m/min for wide trays. 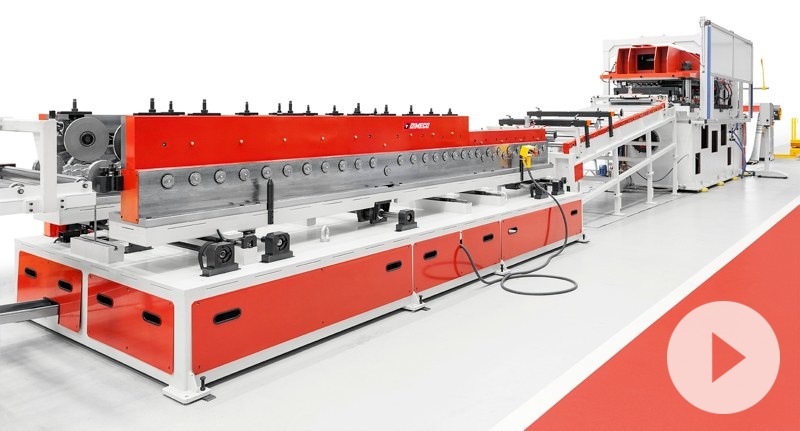 Approximate dimensions: 30 x 6 m.
The press feeding line up to the press is made with elements chosen among over 50 machines and 200 options belonging to our standard range, in order to suit perfectly the application. 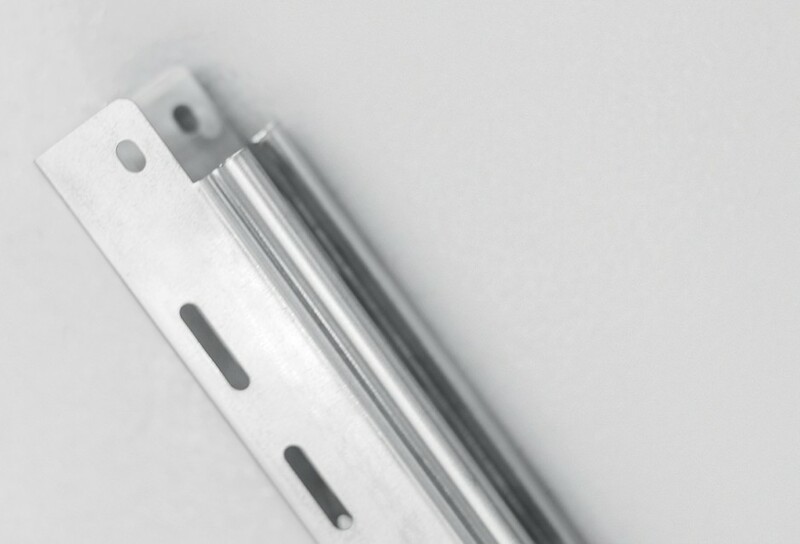 Eccentric shaft in the lower part. 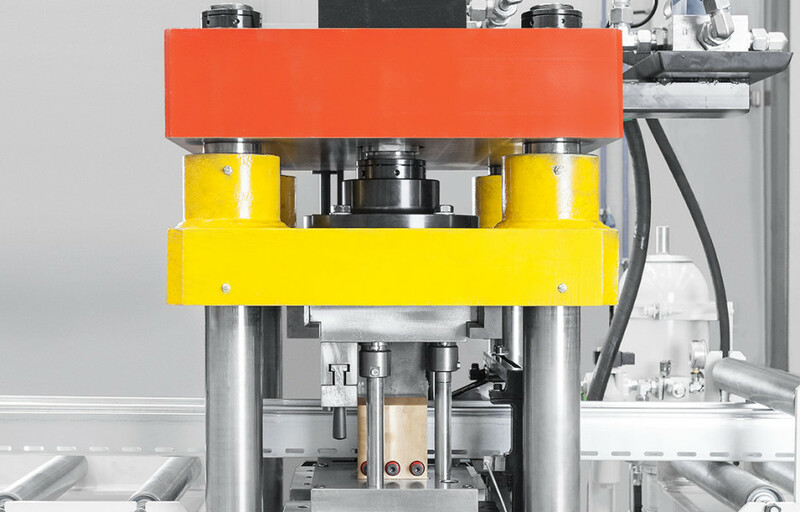 Greasing system in the lower part. 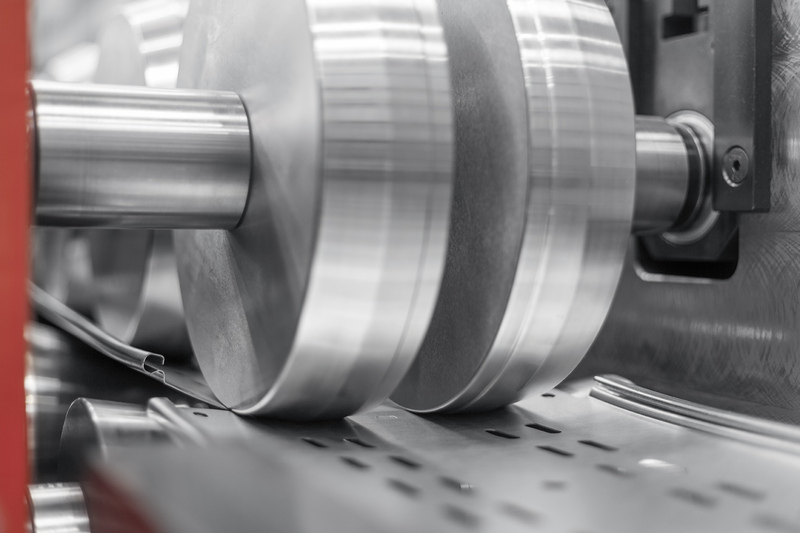 Necessary tools ready on the table. 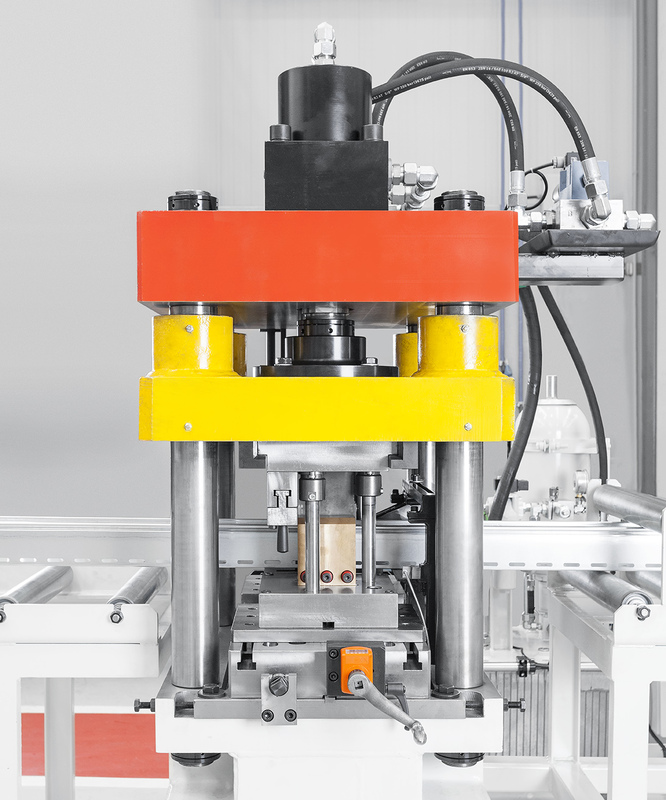 Each tool can be operated by a selector. 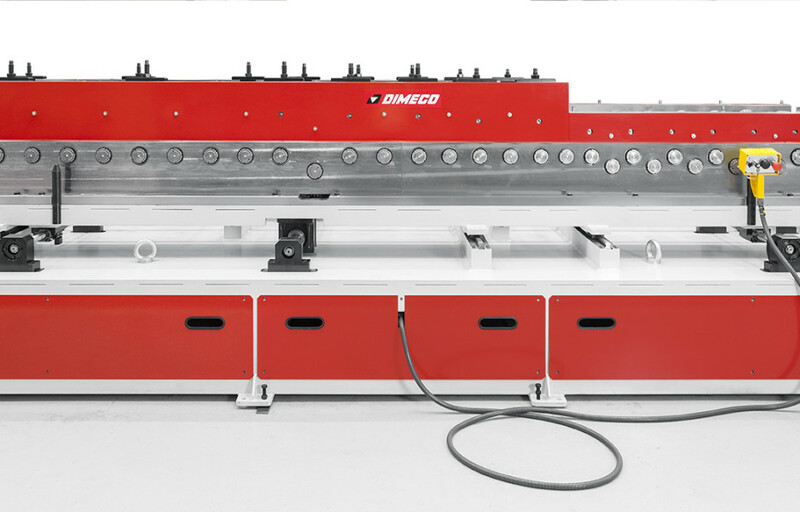 Selectors controlled by the program. 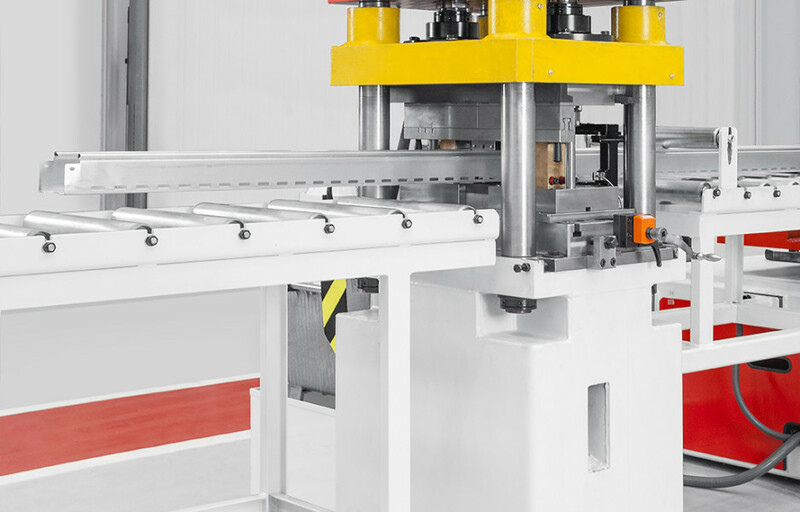 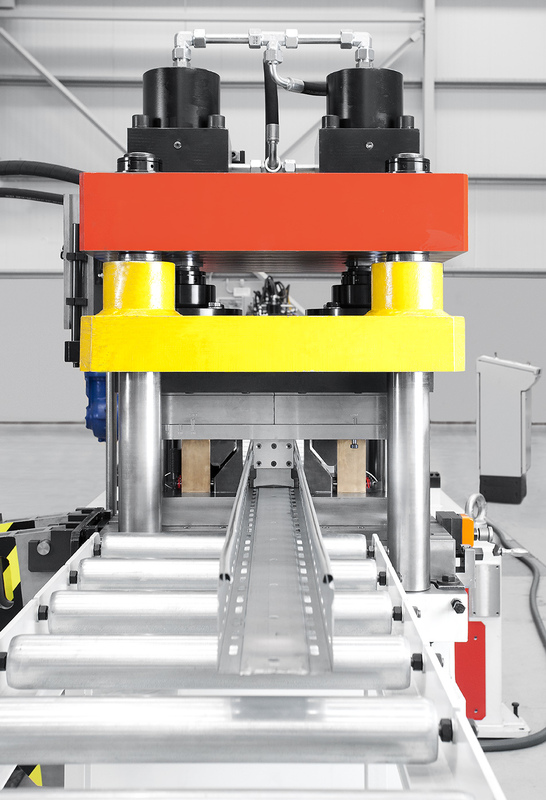 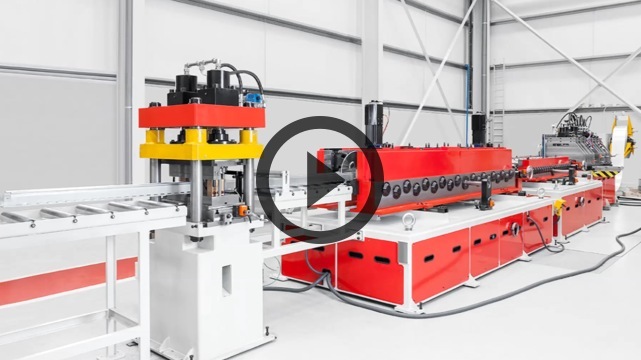 Generally speaking, 2 Duplex or Twin roll forming machines are included in such lines: the first one allows different heights and the second one, different widths. 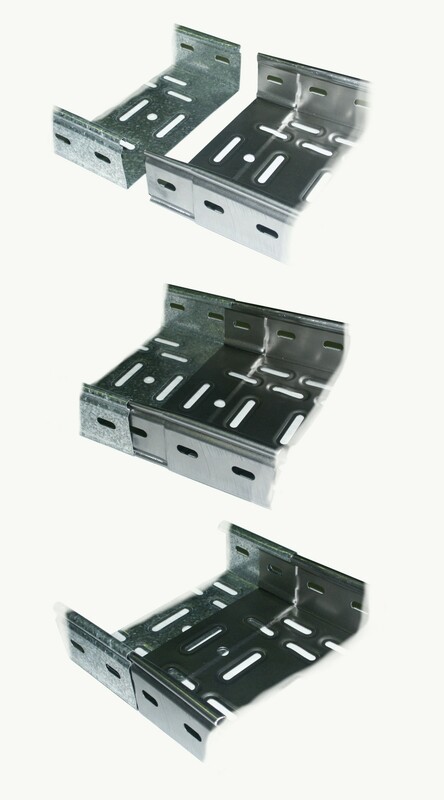 The Duplex system is always referred to the center and the sides are adjusted to the needed cable tray width. 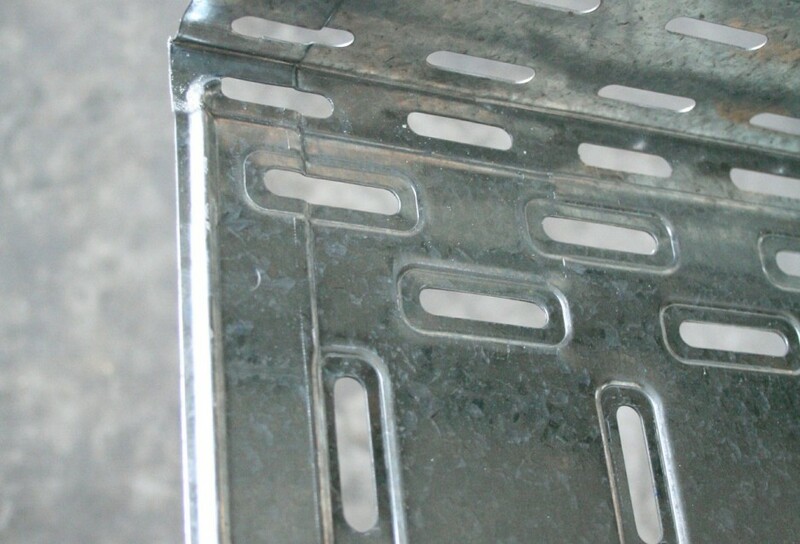 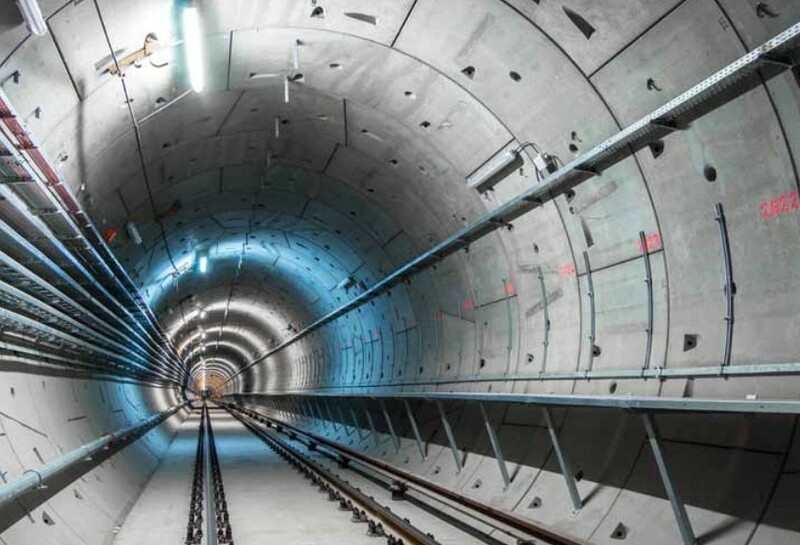 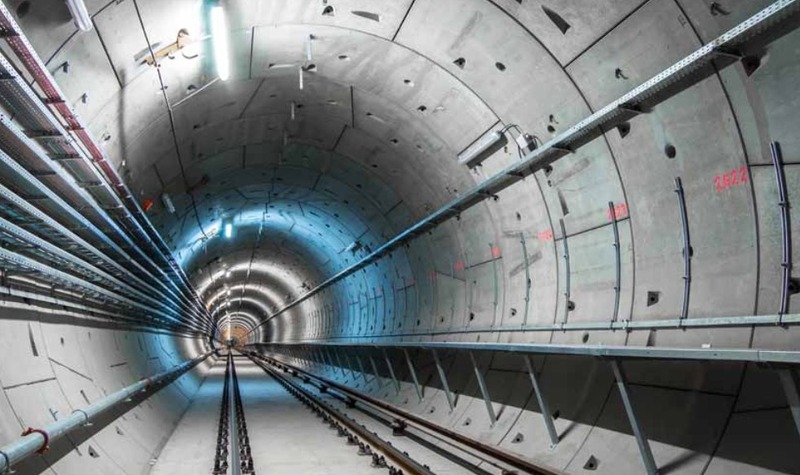 The number of stations and the shaft diameters are always adapted to the required cable tray shape. 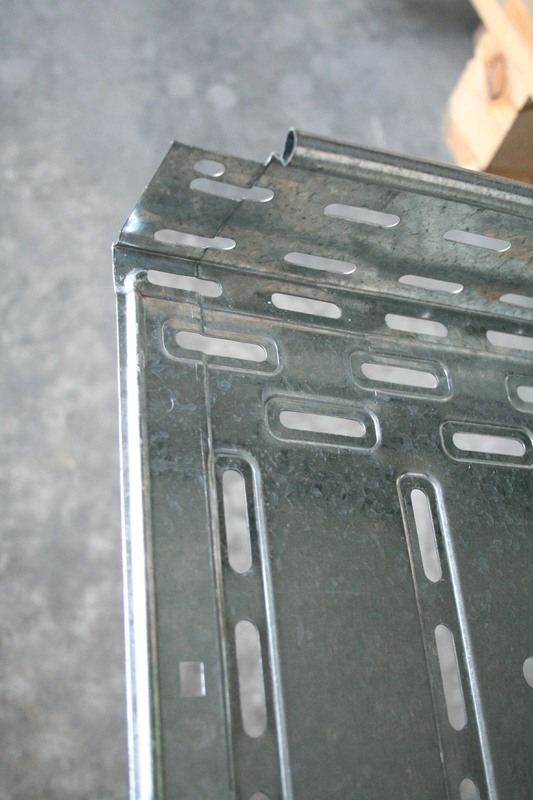 Sometimes, the sheet plate is cut before rollforming. 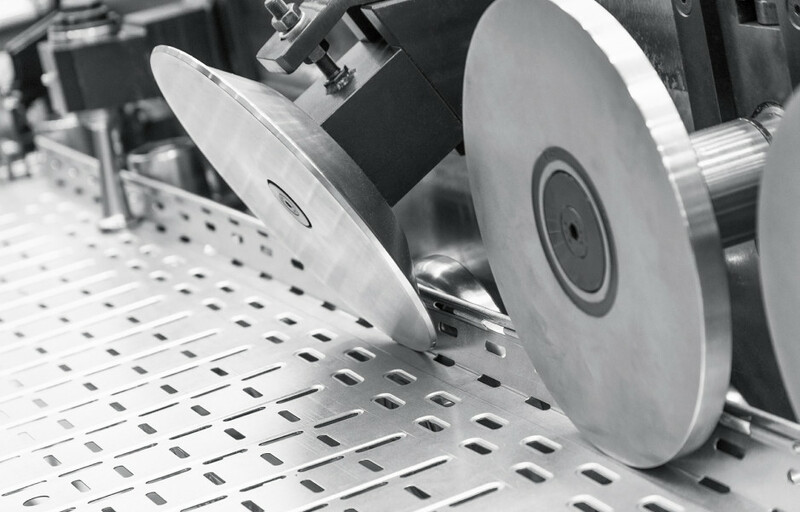 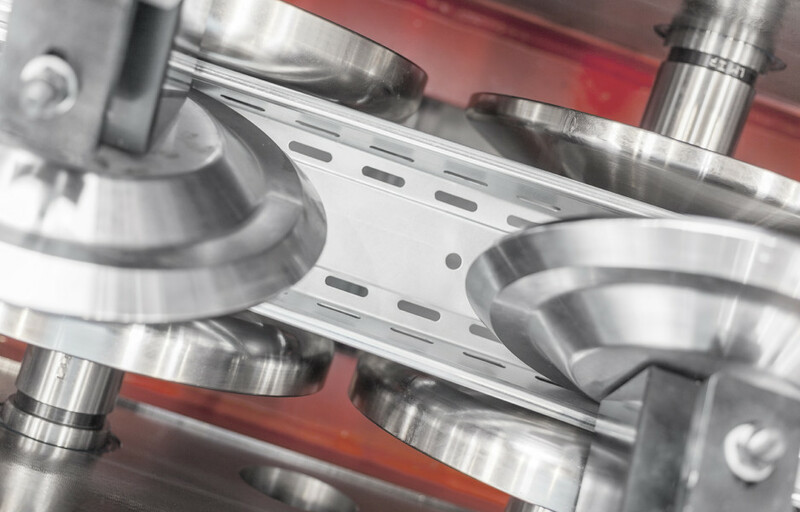 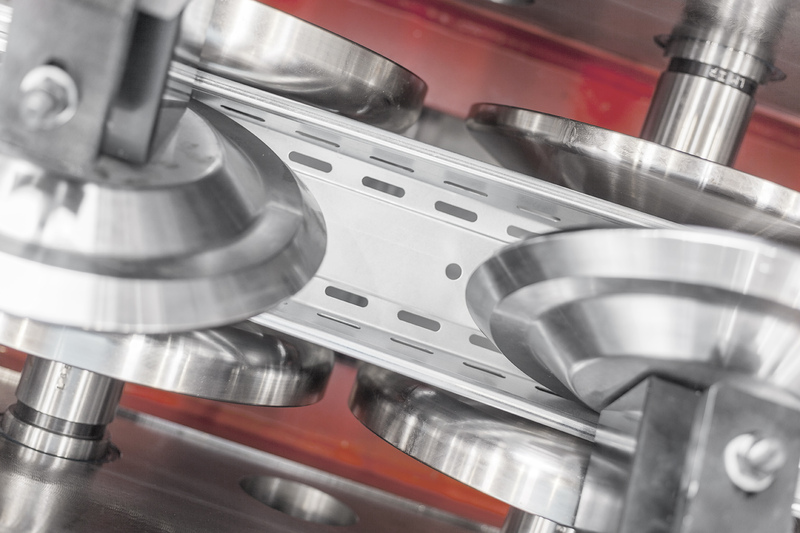 When the tray is cut after rollfor- ming, the shear is equipped with tooling in order to cut the different widths. 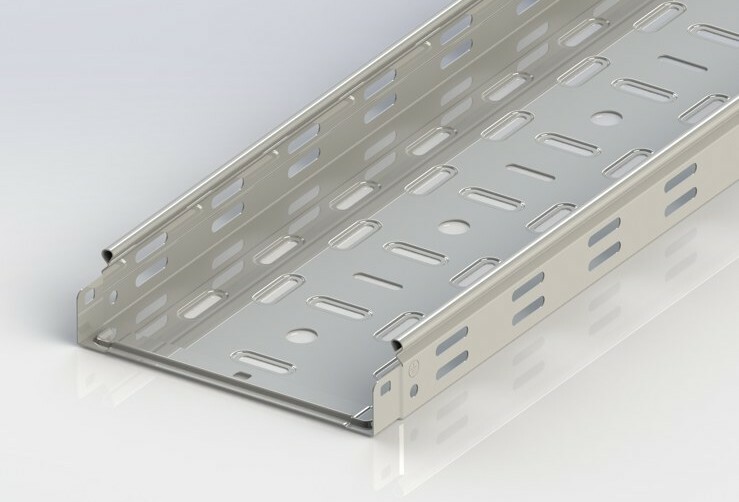 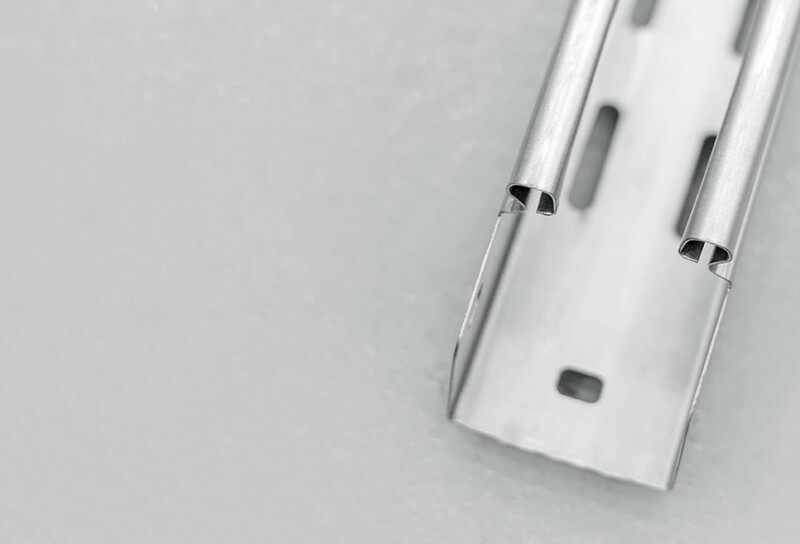 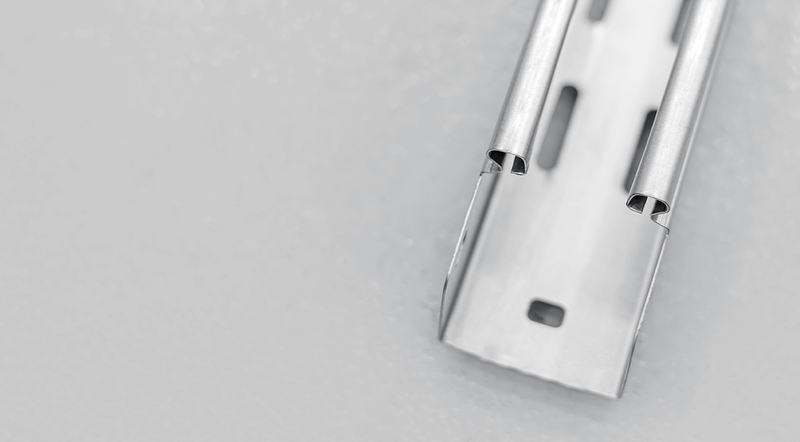 Sometimes, a narrowing system is required at the outlet, in order to connect easily the cable trays parts one into the other.